Buying the best compatible printer for your iPad mini shouldn’t overwhelm you. There are many new Airprint wireless printers on the market today that have all-in-one capabilities including fax and scan. The printer industry is definitely moving towards all new printers being easy to network via wireless technologies such as Bluetooth and Wifi. The most important aspect of a iPad Mini printer is having wireless capability. If you need a mobile, printing solution for business solutions Canon has a great package with the iP 100 series. Make sure to check out the additional accessories and see if they are going to be needed for your mobile printing setup. The Pixma iP100 is the highest rated portable printer for picture quality images and documents up to 8″x10″. 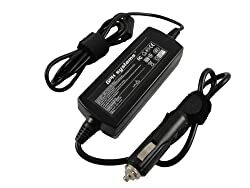 However, for true portability you also need the bluetooth adapter, rechargeable battery pack and mobile charger. Below are all of the items needed to print from your vehicle while on the go. Canon got it’s start back in 1937. When the company first began they could not create their own optic glass and instead purchased glass from the Nippon company which would later become Nikon. Canon gave Japan it’s first X-ray device in 1940. Television cameras which were able to zoom were introduced in 1958 and in 1959 the Canonflex was born, the worlds first zoom lens movie camera. Canon has always taken pride in creating very nice equipment. There is also a rumor that Canon printers use less ink than other manufacturers. Canon, for years, was the industry creators of laser printers. The Apple LaserWriter used the Canon printing engine. From the reviews I have read, the next printer I purchase will be a Canon. 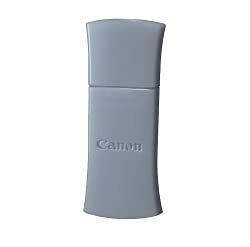 Canon is quickly becoming the highest-rated printer company by giving us better value when it comes to ink replacement. All of these printers will work great with your iPhone or iPad Mini. The Epson corporation started out as another Japanese company which became the Seiko Epson Corporation. It’s first name was Daiwa Kogyo. Diawa Kogyo was formed in 1942 by a small clock store owner named Hisao Yamazaki. September of 1968 would introduce the first printer named the EP 101. The EP is an acronym for Electronic Printer. 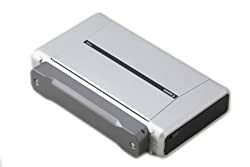 This was a mini printer that was soon installed into calculators. April of 1975 saw the creation of Epson America, Inc. and printers were began to be distributed in through the United States own outlet. Three years later, an 80 column matrix dot printer hit the shelves known as the TX-80. You might remember this printer as it was mainly attached to the Commodore personal computer. 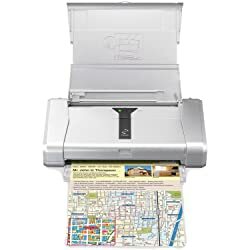 After the TX-80 was improved on, it was renamed the MX-80 and became the most popular printer in the U.S.
Customers rave about the easy to use Epson interface and quick and easy connection to their iPad mini and other Apple devices. HP was founded by Dave Packard and Bill Hewlett, two graduates from Stanford. The year was 1935 and in a Palo Alto garage the company found it’s beginnings. It wasn’t until 1947, however, that Hewlett Packard would incorporate and not for another ten years would they become a publicly held corporation. Many believe that Bill and Dave were the grandfathers of Silicone Valley. Walt Disney was one of Hewlett Packard’s first customers, purchasing equipment for the movie Fantasia. It wasn’t until 1984, that HP would offer laser and inkjet printers. Hewlett Packard would be one of the first companies to combine scanners, faxes, copiers and printers into an all-in-one device. Hewlett Packard has a line of printers that are compatible with the iPad mini. Here are three of the better-rated printers they offer. If you are a fan of the Brother line of printers, here are two that will work great with your iPad. As you can see there are many Airprint printers out there that are compatible with wireless printing and the iPad mini. Amazon is almost always going to beat any price you can find locally or on the internet. Make sure to read all of the reviews and most importantly after you find a printer you would like to purchase, research how much ink that printer will use. This is where your main cost is going to accrue in the coming years. Good hunting! Looking for the Best PDF Printing App for your iPad?